Implementation dashboard and program information coming soon – stay tuned for details and to learn how you can get involved. 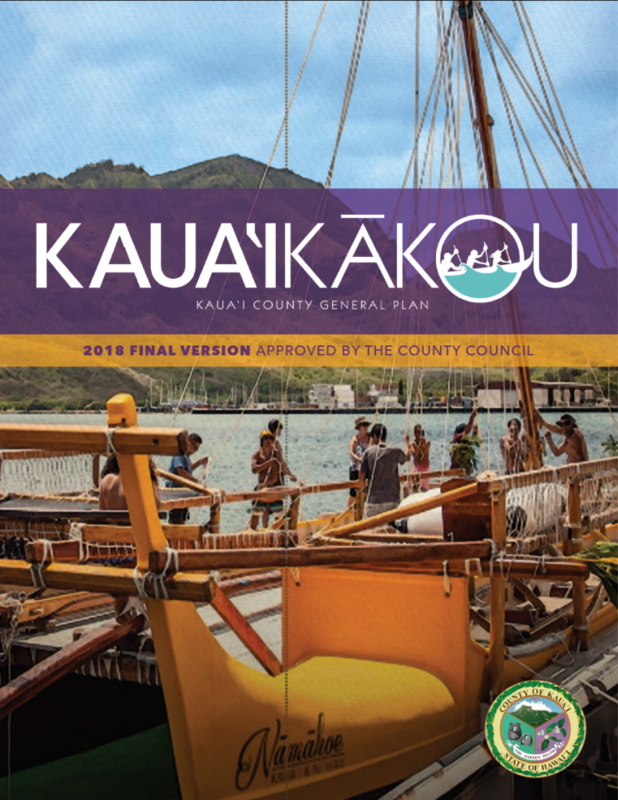 Click here to view the Kaua‘i County General Plan – 2018 Final Version. It is our privilege to share with you the approved Kaua‘i Kākou: Kaua‘i County General Plan. The General Plan establishes long range priorities for growth management and community development on Kauaʻi. The General Plan was approved by the Kauaʻi County Council in February 2018 and signed into law by Mayor Bernard P. Carvalho on March 15, 2018. The General Plan is based on the community’s vision and goals for Kauaʻi’s future: that Kauaʻi will be a sustainable island, a unique and beautiful place, a healthy and resilient people, and an equitable place with opportunity for all. It was developed over a four-year process, which began in 2014. 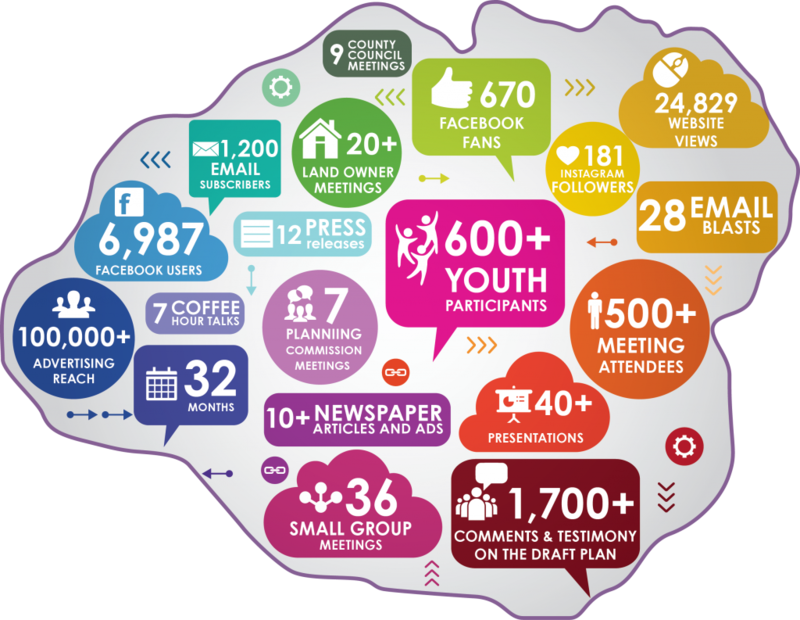 The manaʻo of thousands of residents, community leaders, elected officials, business owners, and landowners on Kauaʻi helped cultivate this General Plan’s vision, goals, policies, and actions. Mahalo to everyone who participated in this process and contributed to this forward-thinking and action-driven General Plan!